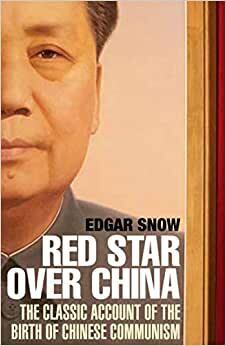 Start reading Red Star Over China on your Kindle in under a minute. Edgar Snow, a native of Missouri, went to the Far East when he was twenty-two. He made his home in China for twelve years, studied the country and the language and lectured at Yenching University in Peking, where his friends included students who are among China's leaders today. As a foreign correspondent in China, Burma, India and Indochina, he worked successively for the Chicago Tribune, New York Sun, New York Herald Tribune and London Daily Herald. Then, as associate editor of the Saturday Evening Post, he reported wartime and postwar events in Asia and Europe and became its widely quoted specialist on China, India and the U.S.S.R. He is the author of eleven books, including The Battle for Asia, People on Our Side, Journey to the Beginning, Red China Today: The Other Side of the River and The Long Revolution. He died in 1972. 1.0 out of 5 starsJournalistic Photo Shopping. Only mildly interesting from a historical perspective written by a communist-idolizing author. He totally ignores the drowning of thousands by Mao in blowing up a dam to escape the Nationalist Army (and other brutalities). The Nationalists weren’t Saints but they didn’t murder businessmen, clergy and intellectuals. Nor did they starve millions to death by forced “collectivization”. Great book - I heard it was very enticing and possibly too sympathetic, so I made sure to read a great deal on the real history before starting. It may be sympathetic but it is above all wonderfully written. A personal account of his interactions with the China Communist Party in a time where information comes only from the Kuomintang. Thus providing the other side of the story. 5.0 out of 5 starsAccount of the LONG MARCH in China. Love this insight to a great movement in History and the courage and obstacles that the Chinese had to survive on the Long March. I love History and for those who do this a must read.